Airport No.9 shuttle bus will take you directly to the Convention Center. 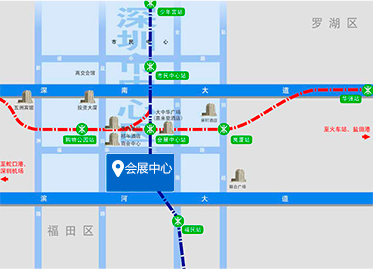 Take Metro Line 1 to directly reach the Convention & Exhibition Center. 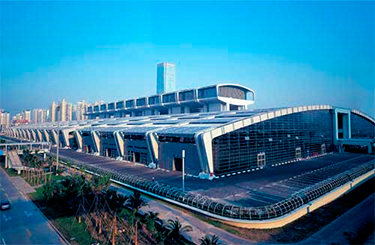 Shenzhen station is the main train station in Shenzhen, with the line commencing at Luohu Port. You can take the Metro Line 1 to reach the Convention Center. 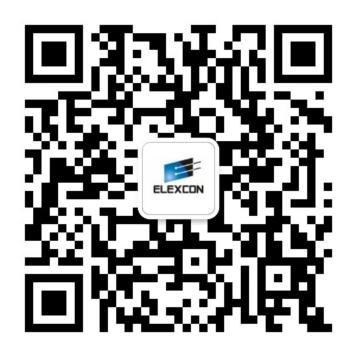 We recommend you take the train from Hong Kong Tsim Sha Tsui East, to Shenzhen Luohu Port. After crossing immigration you can take a taxi to reach the convention Center in just 15 minutes, or take No.337 bus, or use the Metro to directly reach the Convention Center. From Shenzhen railway station: Take Metro Line 1. 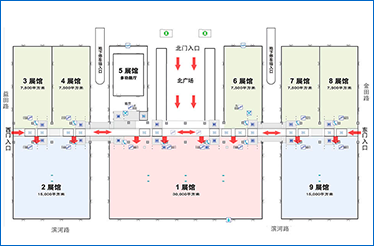 Get off at the Exhibition Center stop and come out from Exit D to enter the exhibition hall from the Convention Center North Gate.